Download Free Stylish Media Player PSD file. Quality made video player in a basic design that you can make your own. 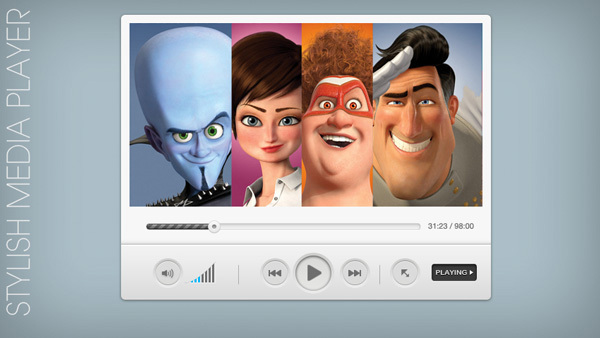 Provided both as a PSD file, and a HTML/CSS file, this media player really stands out as a solid example of UI design. Basic controls, just the information you need, and a design that gives your video content plenty of room to shine.